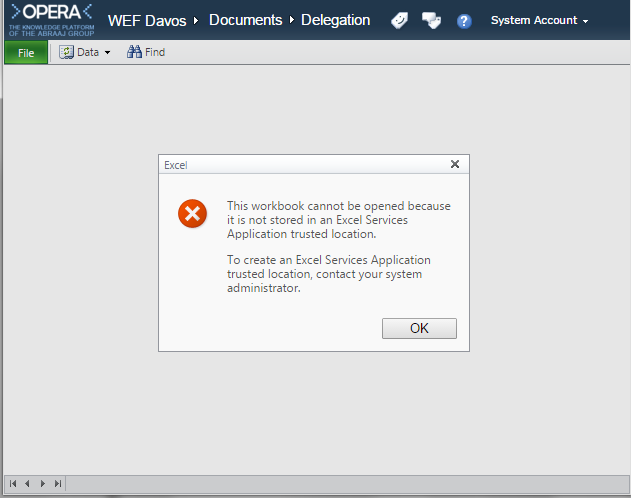 Problem: Got this error when trying to open a Excel Sheet stored in a SharePoint 2010 document library: "This workbook cannot be opened because it is not stored in an excel services application trusted location. 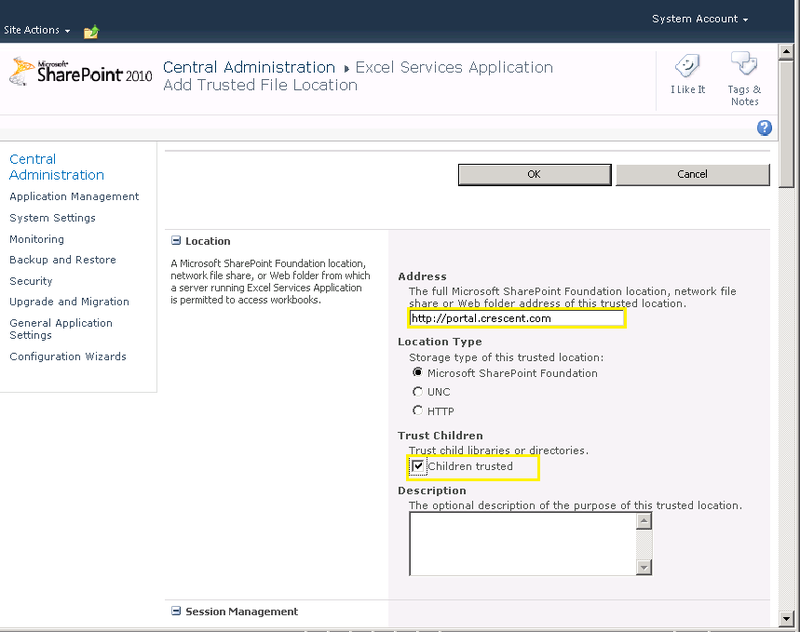 To create an Excel Services Application trusted location, contact your system administrator"
Select "Excel Services Application" and click on "Manage"
Click on "Trusted File Locations" and then Click on "Add Trusted File Location"
Enter the URL of your SharePoint web app/site/library and choose "Trust Children"
Click "OK" to save your configuration changes. 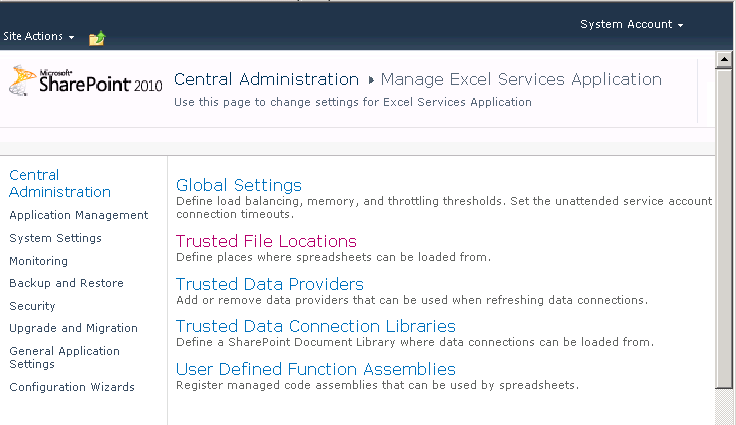 Now, your Excel sheet should render without any issue.